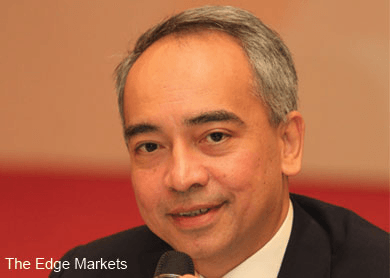 (June 17): Prominent banker and brother of the prime minister, Datuk Seri Nazir Razak, has denied a news report that he is setting up a new political party. "This is not true," the chairman of CIMB group said in a statement today. Instead, he had been in talks about setting up a non-governmental organisation, but this was merely an idea, he said. Nazir was commenting on a report by portal Asia Sentinel today which said the banker had been in meetings with business leaders and "moderates" to form a new, non-partisan political party to end Malaysia's "divisive racial politics". "I refer to recent news reports that I am setting up a new political party. This is not true. "I have been growing increasingly concerned about the socio-political environment as well as its impact on the economy. "In this context I have had conversations with like-minded friends, including Saifuddin, about the need to better enable moderate Malaysians to voice their views, concerns and suggestions. "We have discussed setting up an NGO but it remains just an idea at this moment," said Nazir in a brief statement. A separate statement by Saifuddin also confirmed talks to set up an NGO to promote moderation. "With reference to the statement by Datuk Seri Nazir Razak, I wish to confirm that there have been conversations by him and friends, including me, on the current socio-political and economic situation. "We are thinking of forming an NGO as a platform for moderate voices," the former Umno minister's one paragraph statement said. The Asia Sentinel report comes as the opposition pact Pakatan Rakyat is in its death throes following moves by two of its components, PAS and DAP, to stop working with each other. “That scenario is likely to drive moderates and ethnic minorities now aligned with Umno – MCA and MIC – to seek a different and more viable political vehicle,” the news portal said. Najib and Nazir are sons of Malaysia's second prime minister Tun Abdul Razak Hussein. Recently, Nazir has been critical of Putrajaya’s policies, especially in the handling of the 1Malaysia Development (1MDB) controversy. This stance, according to the Asia Sentinel, gave him an air of credibility.